HOW THE HOFFMAN ESTATES JAYCEES WON THE STATE STREET CHRISTMAS PARADE! The box above is missing a picture of a snowman float that was created in Hoffman Estates in 1962. That year the State Street Council of Chicago decided to try something new with their famous Christmas parade. They opened it up to the suburbs, allowing local villages and cities to create a representative float to appear in the parade. They also requested that the Hoffman Estates Jaycees construct the float that would represent the village. So, with the help of an additional $150 from F & S Construction and $25 from Judge Muldowney, the Jaycees formed a special parade committee and got started. Jim Boyer was named materials chairman and Carl Johnson was named construction chairman. They enlisted the assistance of fellow Jayceers Jerry Meyers, Fred Downing, Neal Galvin, Jim DeCardo, Dave Basch, Jim Lewis, Jim Sloan and Don Daly. Because a large enough site was required to create the float, H.C. Wilkening stepped in and donated a construction spot on his farm property. (You can see his farm in the upper right corner of the map above. 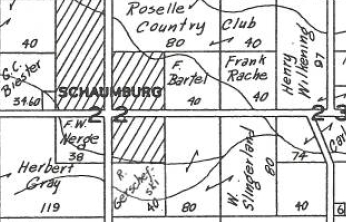 It was located where the Dunbar Lakes subdivision is today, on the northwest corner of Schaumburg and Plum Grove Roads.) With all of the necessary materials, and manpower that consisted of more than 800 hours of volunteer help, the float came together in the shape of a 35-foot snowman. The immense size of the structure required three more bits of special assistance: one, a hydraulic lift that was incorporated into the construction so that the snowman could be raised and lowered as it encountered the State Street “L” tracks and the bridges on the Congress Expressway; two, Don Sperling of Hoffman Estates provided the truck that was used to pull the float; and three, the village, state and Chicago police were required to act as escorts for the trip into the city. And what a trip it was. The amount of time that it took to travel there and back, allowing for the bridges and the huge size of the float, was five hours. Five hours! But, it was not in vain because, it won First Place in the suburban division! The cash prize was $1000 and the Jaycees and the village drove away (albeit, slowly) with a wonderful coup for the three-year-old village. So, if you have a photo of this infamous snowman and would be happy to contribute it to the blog posting, I’d welcome the opportunity to add it. We’d all love to see what this masterpiece looked like! This blog posting was written with the assistance of The Record, November 29, 1962 and the Hoffman Herald, November 1 and 29, 1962. 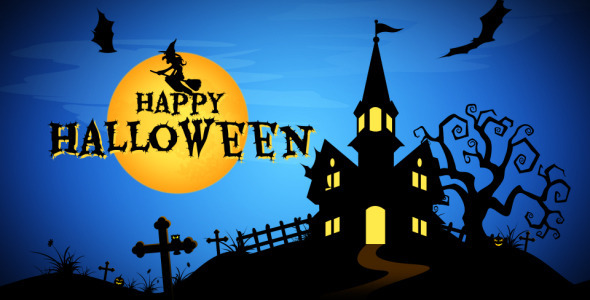 Even though it’s not a historical event in Schaumburg Township, Halloween is still an important day in our area. For that reason, we’ve posted the Trick or Treat hours for the villages in Schaumburg Township for 2016. Elk Grove Village 1 p.m. to 8 p.m.
Hanover Park 3 p.m. to 7 p.m.
Hoffman Estates 3 p.m. to 7 p.m.
Schaumburg 2 p.m. to 7 p.m. If you’ve spent any time at all in the Schaumburg Township area during the holiday season, Woodfield Mall is a must visit. Center Court is always completely bedecked with lavish decorations, the various wings are full of shoppers and Santa can be found in his chair during most of the hours the mall is open. Please take note, too, of the “We Have It All” theme running through the commercial. And, of course, they always recognize their anchor stores. 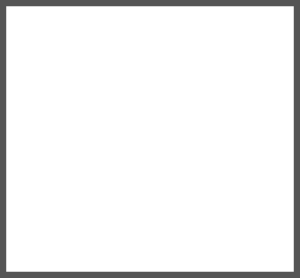 Note how they flash past you at the end–J C Penney, Sears, Lord & Taylor and Marshall Fields. 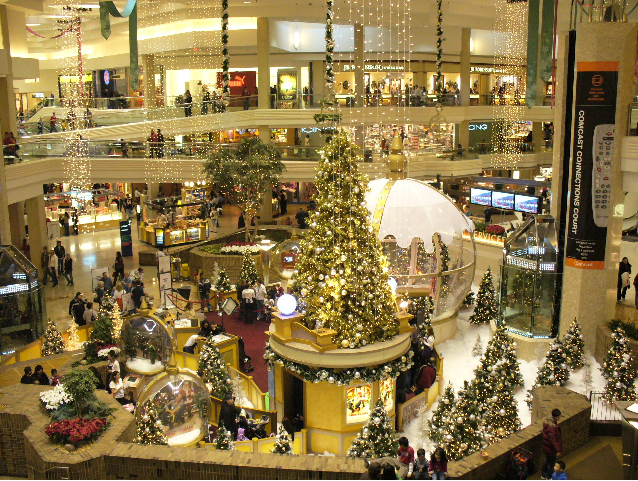 What are your favorite Christmas memories of Woodfield Mall? Sitting on Santa’s lap? Madly rushing around to find the perfect gift(s) on Christmas Eve? Going to the theater on Christmas Day? Or, something so simple as finding the perfect parking place up close? We’d love to hear. Or, maybe, tell us your favorite gift from Woodfield Mall. Don’t we all have one?!? Our guest contributor this week is Pat Barch, the Hoffman Estates Historian. This column originally appeared in the December 2010 issue of the Hoffman Estates Citizen, the village’s newsletter. The column appears here, courtesy of the Village of Hoffman Estates. Everyone is busy with holiday shopping and decorations. Some may have already put up the Christmas tree. As the years go by, the traditions may change or are forgotten. Some families remember the little things they use to do when the children were small or recall what they did at Christmastime as children. One of the biggest chores connected to Christmas was dragging out the boxes and boxes of decorations. Why did we ever save all that stuff? I still have handmade ornaments I wouldn’t part with even if they do look a bit faded, but many of the other decorations could easily go in the trash. Did we ever put things back in the right box? I still have the original boxes that the ornaments came in and I can waste a lot of time when it comes to undecorating the tree. When the first residents of Hoffman Estates moved into Parcel A & B in the mid 1950s, they may have been putting up a different kind of tree. Do you remember the aluminum tree? Some people thought they were the most beautiful trees. You couldn’t put strings of lights on them because you might electrocute yourself. A spotlight with a rotating color wheel was used to light the tree. Almost everyone put the same colored ornaments on it. I never had one because I really love the traditional green tree. Even the fresh green trees suffered from fads of the time. Flocking trees was one of those fads. To have the latest fashionable tree, white or pink or blue snow was sprayed on the tree to make it look more festive. A florist could do this for you or you could do it yourself with a box of Ivory Snow laundry soap. The recipe was part of their ad in all the women’s magazines. I’m sure there are many horror stories about this do-it-yourself project. Another fun decorating project was putting holiday stencils on the windows with glass wax. It looked beautiful until the day you tried to get it off the windows. Christmas lights are a story in themselves. As children we remember stories our grandparents told of having lit candles on the tree. A bucket of water was always at hand. Thank goodness for electricity and those large beautiful lights of many colors that made our eyes sparkle. Those big bulbs from years gone by were very hot. Everyone was careful not to leave the tree lit all day for fear of starting the tree on fire. Now we have small cool lights, known as Italian lights. Sorry I’ve dated myself. They are LED lights, for indoors or outdoors. The lights and the tinsel are the best part of Christmas for me. I have memories of the tinsel sparkling in the light of the outside street lights streaming in the windows at 3 in the morning when my brothers and I would be looking to see what Santa had brought for us only to hear my mother say “What are you kids doing up, get back to bed”. All of our Christmas memories come back to us at this time of year. Many of us celebrate Hanukkah, Kwanzaa, Ashura and the coming New Year. May you all enjoy your special days with family and friends and I wish you all a Happy and Healthy New Year .